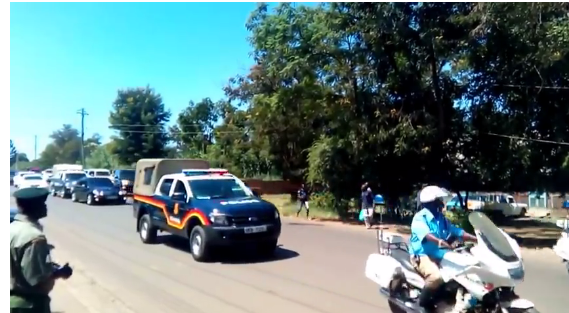 Home / County Politics, News, Videos / Fake Prophet, DAVID OWUOR , is now moving with a whole police station like a head of state, Check out his security(VIDEO). Fake Prophet, DAVID OWUOR , is now moving with a whole police station like a head of state, Check out his security(VIDEO). Friday, 28 December 2018-Controversial city prophet David Owuor of Repetance and Holiness Ministry is being guarded like a head of state. The self proclaimed mighty prophet was spotted driving in the streets of Nakuru ahead of his much hyped miracle and healing crusade while accompanied by a fleet of guzzlers and a contingent of heavily armed cops. It’s like he is moving with a whole police station these days.